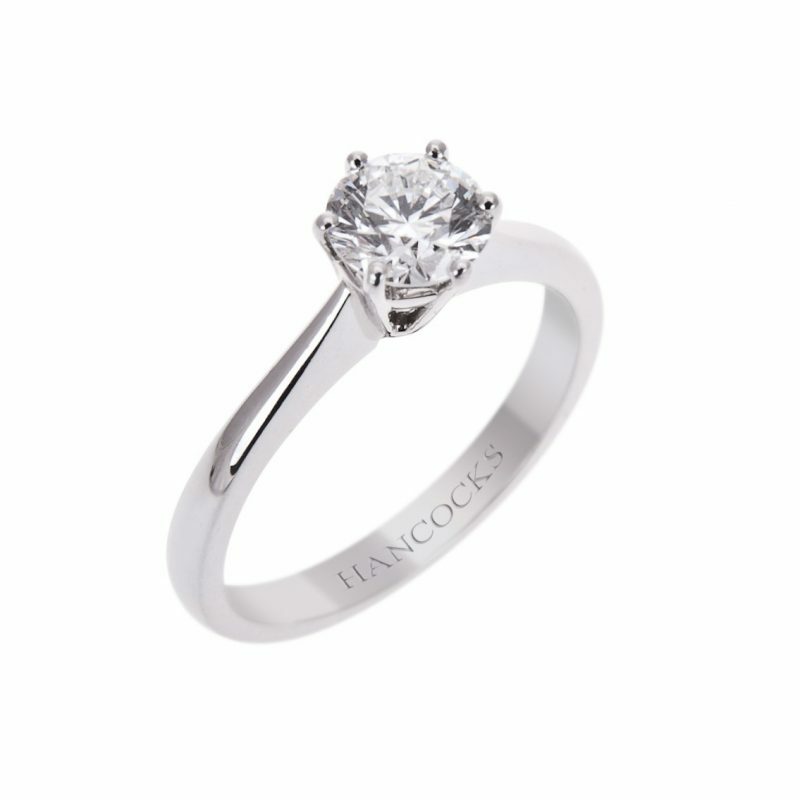 Expert diamond cutters have always strived to cut the perfect diamond. 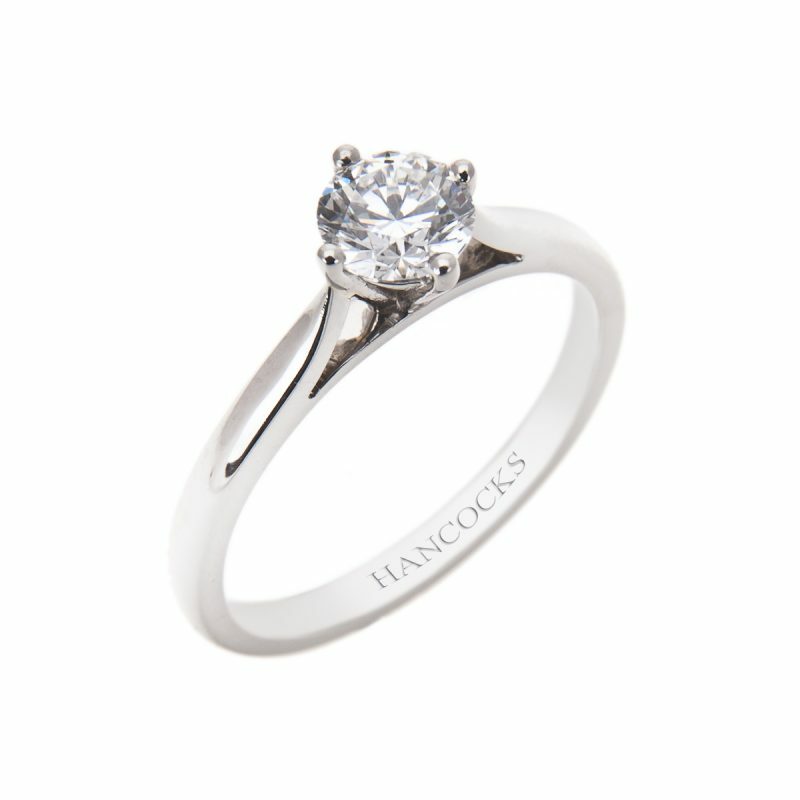 Using advanced theories of light behaviour and precise mathematical calculations to create a cut that is unparalleled for fire and brilliance. 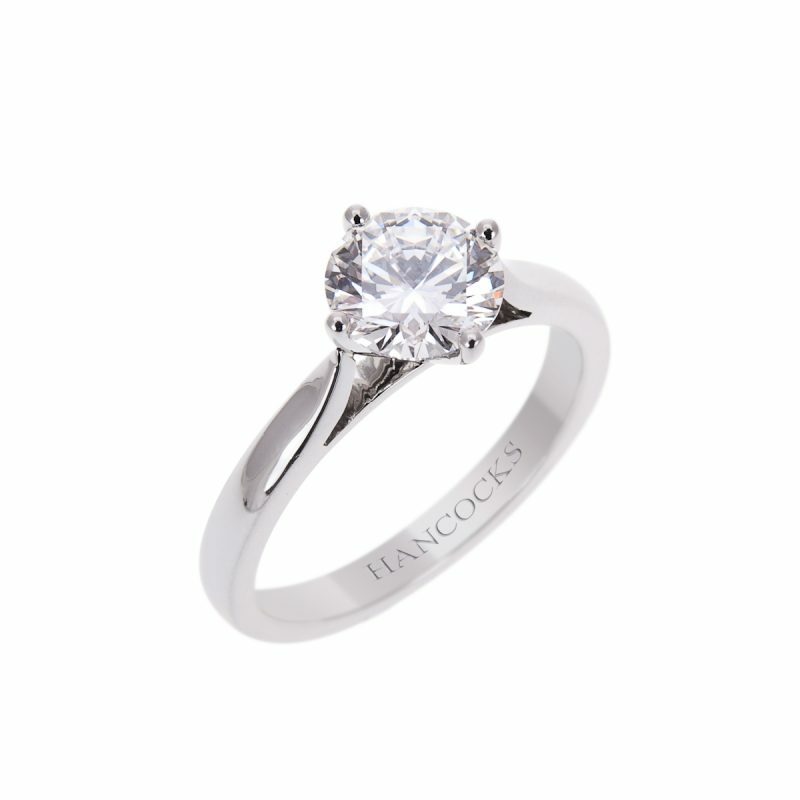 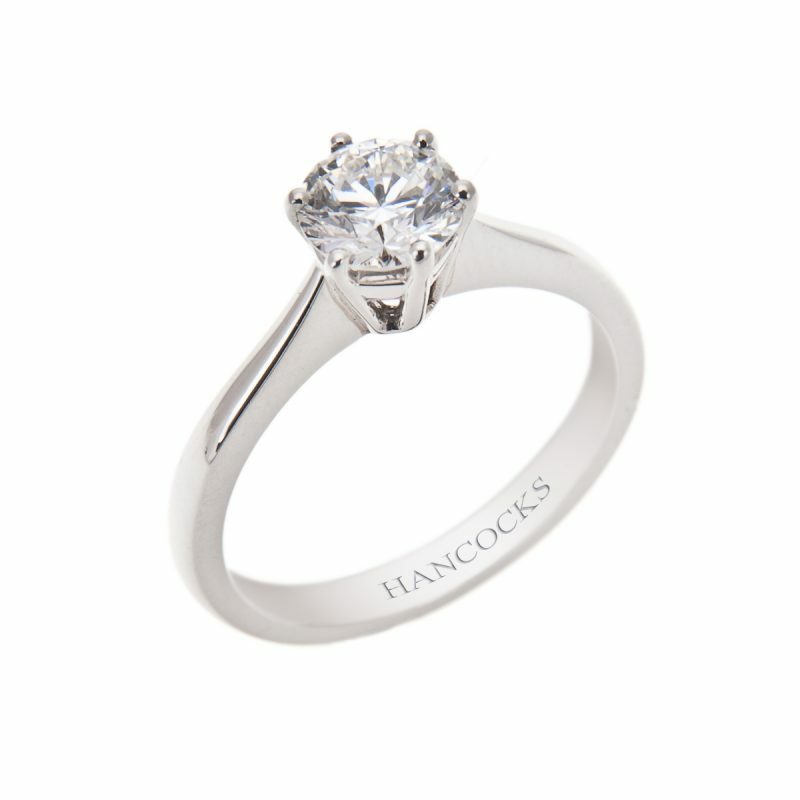 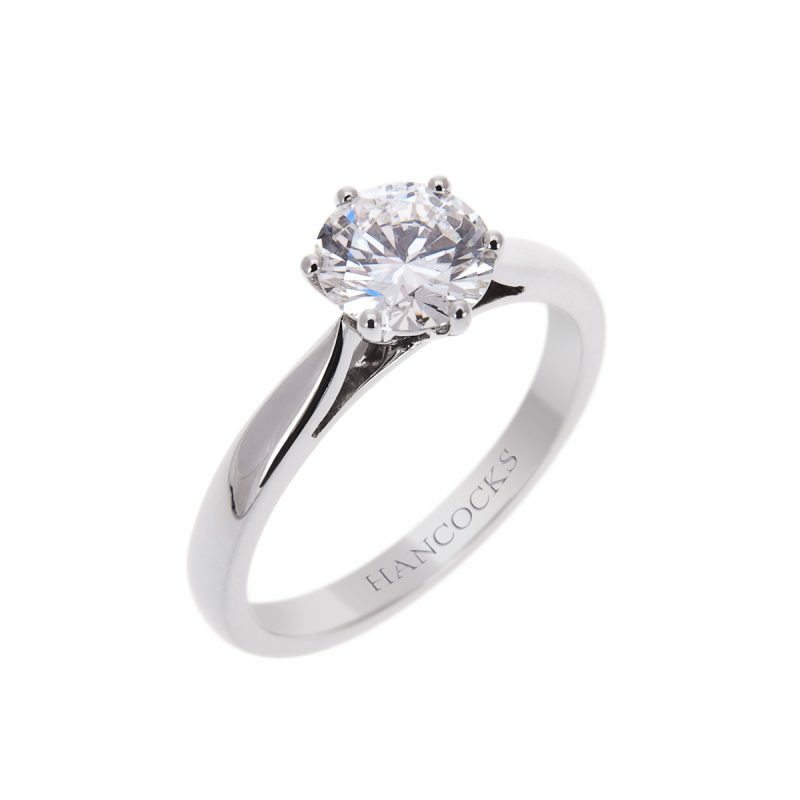 To show the diamond in all its glory, Hancocks have chosen to mount this brilliant cut diamond in an elegant six claw mount hand crafted in platinum.